Click here for class schedule and any changes or updates. View the Slide Show of our 2008 Second Chance Dogs Potluck BBQ Fundraiser! Click here to send us an email information request about about any of these classes or special programs. All levels of training, from basic to advanced and beyond. We also provide special programs, classes and demonstrations. Levels from beginning puppy up through advanced obedience. We also offer special programs for those wanting to earn AKC titles for their dogs. Appointments are available at Twin Cedar Ranch or a house call can be scheduled. 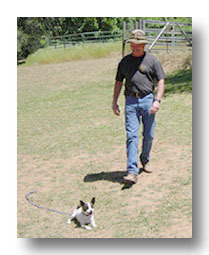 Lessons and assessments are available for all breeds regardless of age. We provide assessments with solutions for problems involving dominance, fear aggression or food aggression. We also deal with separation anxiety, excessive barking or other problems that your new puppy or adult dog may have. Advanced group lessons are available to follow up and expand upon what has been learned in the beginning classes and private sessions. These classes are scheduled throughout the year and are organized to provide a continuous growth path for you and your companion. Also available is Canine Good Citizen (CGC) certification. We also offer specialized programs to take your dog to the next level. 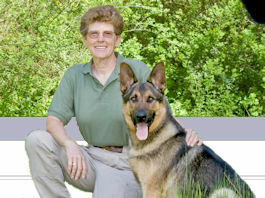 These programs include competitive obedience, training for search and rescue, law enforcement, and personal protection. We also offer specialized programs to take your dog to the next level. These programs include competitive obedience, training for search and rescue, law enforcement and personal protection. Click here to view some of these offerings. * For new clients; please review our services agreement and contract before your first appointment or class by clicking here. You will need Adobe Acrobat Reader to view the form. To save time on your visit, please complete the form online and print to your printer. Then sign and bring it with you to your first meeting. If needed, Adobe Acrobat Reader is available here at no cost.